Clarke is from Norwalk, Connecticut but grew up in Raleigh, NC. She graduated from ECU with a degree in Biology and a minor in Communications. 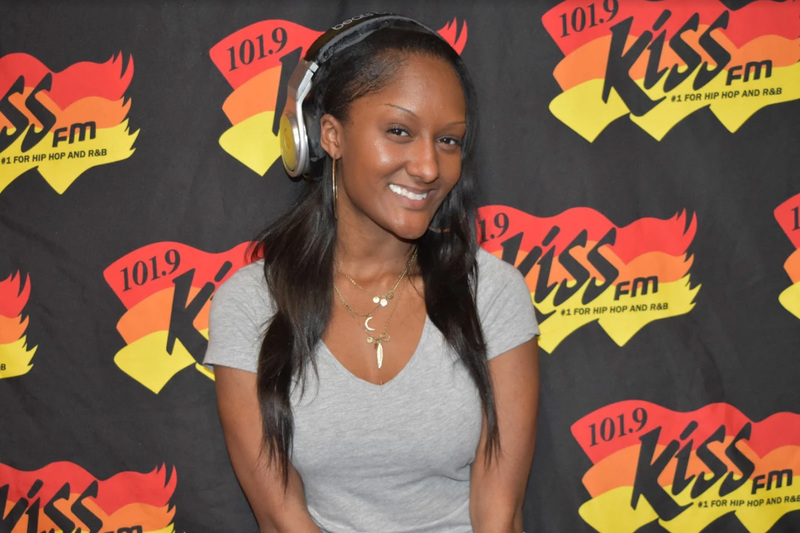 While at ECU she worked at WZMB, the student radio station, for 3 years before joining the Kiss Crew her senior year. Radio became a place to connect to people on a personal level & allow others to share their opinions as well as yours. Clarke loves music, movies, and anything dealing with entertainment news. She is spontaneous & ready to do anything that sounds fun! Inspiring young women through her own ups & downs is also something that Clarke hopes to do. Whether it be self-confidence, motivation, or being an ear for someone to vent to, Clarke wants to spread love, confidence & sass throughout the world. During free time, you can catch her searching the web for breaking new, at the movies, hanging out with friends, taking a selfie or venting on SnapChat or Netflix & Chillin. Be sure to read check out her reviews on new movies every week! I’m a simple girl. Jeans, Rainbows & some eyeliner = the perfect life! Do you wait to pay your bill until the Red Date like Blaze does?